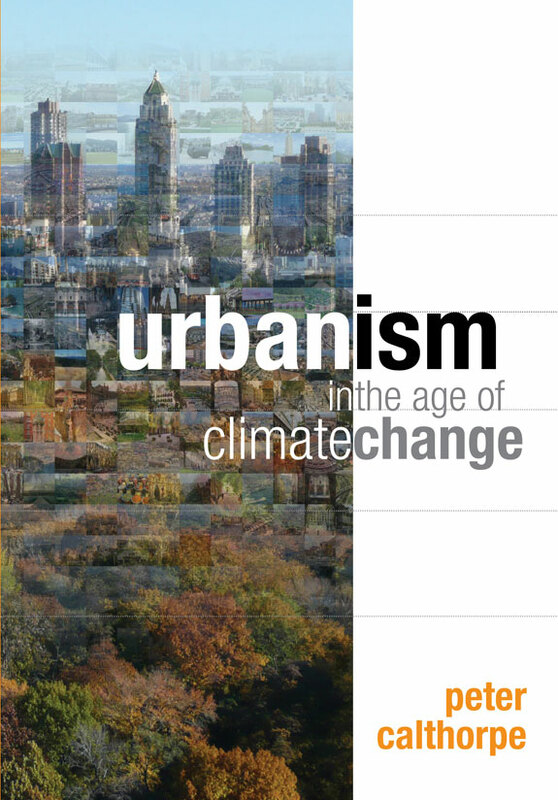 Editor’s note: This week, we continue our 5-part series of excerpts from Peter Calthorpe’s book, “Urbanism in the Age of Climate Change.” This is installment number three. Thanks to Island Press, a few lucky Streetsblog readers will be selected to receive a free copy of the book. To enter the contest, fill out this form. For many people, urban is a bad word that implies crime, congestion, poverty, and crowding. For them, it represents an environment that moves people away from a healthy connection with nature and the land. Its stereotype is the American ghetto, a crime-ridden concrete jungle that simultaneously destroys land, community, and human potential. The reaction to this stereotype has been a middle-class retreat into the closeted world of single-family lots and gated subdivisions in the suburbs. As a result, much of the last half century’s planning has been directed toward depopulating cities, whether through the satellite towns of Europe or the suburbs of America. But, for many others, the word urban represents economic opportunity, culture, vitality, innovation, and community. This positive reading is now manifest in the revitalized centers of many of our historic cities. In these core areas, the public domain—with its parks, walkable streets, commercial centers, arts, and institutions—is once again becoming rich and vibrant, valued and desirable. There is new life in many city centers and their public places, from cafés and plazas to urban parks and museums—ultimately drawing people back to the city. In fact, since 2000, many of our major cities have increased their share of new home construction while their region’s suburbs have declined. For example, in 2008, Portland issued 38 percent of all the building permits within its region, compared to an average of 9 percent in the early 1990s; Denver accounted for 32 percent, up from 5 percent; and Sacramento accounted for 27 percent, up from 9 percent. There is an even stronger trend toward urban redevelopment in the largest metropolitan regions. New York City accounted for 63 percent of the building permits issued within its region. By comparison, the city averaged about 15 percent of regional building permits during the early 1990s. Similarly, Chicago now accounts for 45 percent of the building permits within its region, up from just 7 percent in the early 1990s.13 This represents a dramatic turnaround as cities regain their roles as centers of innovation, social mobility, artistic creativity, and economic opportunity. Urbanism of this caliber is desirable but, unfortunately, too often limited and very expensive. A home in the metropolitan center is, in some places, the most valuable in the region—an economic signal of just how desirable good urban places can be. In such cities as New York, Portland, Seattle, or Washington, DC, urban residences command a premium of 40 to 200 percent per square foot over their suburban alternative. 14 Meanwhile, in our ghettos and first-ring suburbs, the working poor—and now even the middle class—are suffering and struggling. Urbanism is again proving its value; but if in limited supply, it soon can become too valuable. At the same time, the bread-and-butter subdivisions at the metropolitan fringe experienced the greatest fall in value during the 2008 housing bust.15 Their physical environments along with their economic opportunities, cost of transportation, and social structures are becoming more and more stressed. Many economic and social factors are at work in this equation, but certainly a better form of urbanism is one necessary component of the renewal we need. But first, a clear definition of urbanism is needed. Much confusion surrounds the differences between suburbs, sprawl, and what I mean by urbanism. Suburbs are not always sprawl and can be urban in many ways. Sprawl is a specific land use pattern of single-use zones, typically made up of subdivisions, office parks, and shopping centers strung together by arterials and highways. It is a landscape based on the automobile. We all know it when we see it; nevertheless, much of the debate about sprawl and urbanism is rife with misrepresentations. For example, sprawl is typically described as discontinuous developments that wastefully hopscotches across the landscape. But healthy forms of suburban growth can also be discontinuous, as villages and towns with greenbelt separations demonstrate. Suburbs are criticized for their low densities, as if we should abolish single family homes and yards, but many great urban places integrate a full range of densities, from large-lot mansions and single-family homes to bungalows and townhomes. The classic streetcar suburbs of the turn of the twentieth century were not sprawl— they were walkable, diverse in use, transit oriented, and compact—but they were relatively low density and outside the city center, in a word “suburban.” Conversely, urban renewal programs transformed decaying urban districts into denser versions of suburban sprawl, substituting superblocks and arterials for walkable streets and single-income projects for complex, mixed-use neighborhoods. It is the quality of the place that is most significant in sprawl: its relentless parking lots and oversized roads, uniform tracks of houses, isolated office parks, strip commercial areas, and, above all, its near total dependence on the car. To be against sprawl is not to be against suburbs or small towns. All suburbs are not sprawl, and unfortunately, not all sprawl is suburban. Traditional urbanism has three essential qualities: (1) a diverse population and range of activities, (2) a rich array of public spaces and institutions, and (3) human scale in its buildings, streets, and neighborhoods. Most of our built environment, from city to suburb, manifested these traits prior to World War II. Now, most suburbs succeed in contradicting each trait; public space is withering for lack of investment, people and activities are segregated by simplistic zoning, and human scale is sacrificed to a ubiquitous accommodation of the car. None of these urban design principles are new. Jane Jacobs postulated a similar definition of urbanism in her landmark 1961 work The Death and Life of Great American Cities. The difference here is that urban issues are also being considered in the context of climate change and environmental protection. In fact, one can arrive at the same design conclusions from the criteria of conservation, environmental quality, and energy efficiency that Jacobs located largely by social and cultural needs. By investigating the technologies and formal systems scaled for limited resources, climate change concerns add a new and critical element to Jacobs’ rationale. If traditional urbanism and sustainable development can truly reduce our dependence on foreign oil, limit pollution and greenhouse gases, and create socially robust places, they not only will become desirable but will be inevitable. and key habitat destroyed. A green form of urbanism should protect those critical environmental assets while reducing overall resource demands. Indeed, the simple attributes of urbanism are typically a more cost efficient environmental strategy than many renewable technologies. For example, in many climates, a party wall is more cost effective than a solar collector in reducing a home’s heating needs. Well-placed windows and high ceilings offer better lighting than efficient fluorescents in the office. A walk or a bike ride is certainly less expensive and less carbon intensive than a hybrid car even at 50 MPG. A convenient transit line is a better investment than a “smart” highway system. A small cogenerating electrical plant that reuses its waste heat locally could save more carbon per dollar invested than a distant wind farm. A combination of urbanism and green technology will be necessary, but the efficiency of urbanism should precede the costs of alternate technologies. As Amory Lovins of the Rocky Mountain Institute famously advocates, a “nega-watt” of conservation is always more cost effective than a watt of new energy, renewable or not. Urban living in its many forms turns out to be the best type of conservation. In addition, the idea of “conservation” in urban design applies to more than energy, carbon, and the environment; it also implies preserving and repairing culture and history as well as ecosystems and resources. Conserving historic buildings, institutions, neighborhoods, and cultures is as essential to a vital, living urbanism as is preserving its ecological foundations. Regionalism sets city and community into the contemporary reality of our expanding metropolis. At this point in history, most of our key economic, social, and environmental networks extend well beyond individual neighborhoods, jurisdictions, or even cities. Our cultural identity, open space resources, transportation networks, social links, and economic opportunities all function at a regional scale—as do many of our most challenging problems, including crime, pollution, and congestion. Major public facilities, such as sports venues, universities, airports, and cultural institutions, shape the social geography of our regions as well as extend our local lives. We all now lead regional lives, and our metropolitan form and governance need to reflect that new reality. In fact, urbanism can thrive only within the construct of a healthy regional structure. The tradition of urbanism must be extended to an interconnected and interdependent regional network of places, creating polycentric regions rather than a metropolis dominated by the old city/suburb schism. low-density lifestyles or even a high-rise, high-density version of the same—we will truly need breakthrough technologies to accommodate the demands. If they develop an enlightened and indigenous form of urbanism, we all will have the opportunity to address climate change in a less heroic and more cost effective way. In fact, many developing countries are fast approaching a tipping point of urbanism. As auto ownership grows, the infrastructure to support it expands. Slowly at first, then in a landslide, the logic of surface parking lots, low-density development, freeways, and malls becomes irresistible. As cars make remote destinations viable, the historic logic of density and urbanism erodes and the economics of single-use, lowdensity suburbs grows. The built environment shifts to focus on auto mobility in ways that are hard to reverse—and with this shift urban culture dies. Traditional landscapes and neighborhoods are demolished at astonishing rates to make way for what is now seen as modern. Certainly, we cannot romanticize or literally replicate the complex historic urban fabric of, say, the Hutong in Beijing, but we can learn from it. At the center of energy and carbon problems in the United States (and in many developing countries in the not-too-distant future) is transportation. It represents almost a third of current U.S. GHG emissions and is the fastest-growing segment.17As industry becomes more efficient and jobs continue to shift toward an information economy, transportation becomes a more dominant issue. It seems obvious that the more we spread out, the more we must drive. But the numbers are still startling. From 1980 to 2005, average miles driven per person increased by 50 percent in the United States, a change that can be linked to the nearly 20 percent increase in land consumed per person over roughly the same period.18 By comparison, Portland, Oregon, with its regional focus on transit and walkable neighborhoods, has seen a reduction in vehicle miles traveled per capita since the mid-1990s.19 At the same time that it reduced auto dependence, the Portland region has preserved valuable farmlands and provided a widening range of housing options. Short of such regional efforts, even a doubling of auto efficiency will not keep up with the typical growth in sprawl-induced travel. We cannot solve the carbon emission problem without changing our travel behavior, and to do that an alternative to our auto-dominated communities is essential. The good news is that truly great urban places also happen to be the most environmentally benign form of human settlement and are at the heart of a green future. Cities and urban places produce the smallest carbon footprint on a per capita basis.20 New Yorkers, for example, emit just a third of the GHG of the average American.21 In addition, it is generally accepted that population growth in developing countries drops as a rural population urbanizes. Urbanism therefore leads to fewer people consuming fewer resources and emitting less GHG at a global scale. Urbanism is a climate change antibiotic and our most affordable solution to foreign oil dependence. Urbanism is, in fact, our single most potent weapon against climate change, rising energy costs, and environmental degradation. Yet our towns, cities, and regions cannot be shaped around a single issue like climate change or peak oil, no matter how critical they may be. Urban design is part art, social science, political theory, engineering, geography, and economics. I believe it is necessarily all of the above—urban design cannot and should not be reduced to any single metric. In the end, great urban places are qualitative; they are ultimately defined by the coherence of their public places, the diversity of their population, and the opportunity they create for our collective aspirations. We will never treasure our cities and towns just because they are low carbon, energy efficient, or even economically abundant; we will treasure them only when we come to love them as places—as vessels of our cultural identities, stages for our social interaction, and landscapes for our personal narratives. But that does not mean that they should not also play a critical role in the climate change challenge. From Urbanism in the Age of Climate Change, Chapter 1, by Peter Calthorpe. Copyright @ 2011 Peter Calthorpe. Reproduced by permission of Island Press, Washington, D.C.
13. U.S. Environmental Protection Agency (EPA), “Residential Construction Trends in America’s Metropolitan Regions” (Washington, DC: EPA, 2010). 14. Christopher B. Leinberger, “The Next Slum?” Atlantic, March 2008. 15. Natural Resources Defense Council, “Reducing Foreclosures and Environmental Impacts through Location-efficient Neighborhood Design” (New York: Natural Resources Defense Council, 2010). 16. Andrea Sarzynski, Marilyn A. Brown, and Frank Southworth, “Shrinking the Carbon Footprint of Metropolitan America” (Washington, DC: Brookings Institution, 2008). 17. Author’s analysis of data from World Resources Institute, “US GHG Emissions Flow Chart.” (accessed April 1, 2010). technical/NRI/ (accessed February 12, 2010). 19. Metro Regional Government, “1990–2008 Daily Vehicle Miles Traveled, Portland and the U.S. National Average,” Metro Regional Government. (accessed March 1, 2010). 20. The Center for Neighborhood Technology has done extensive research revealing that urban dwellers commute shorter distances and rely on public transit more often. Their per capita emissions, as well as spending on transportation, are consistently lower than those of the average American. 21. Office of Long-Term Planning and Sustainability, “Inventory of New York City Greenhouse Gas Emissions” (New York: Mayor’s Office of Operations, 2007), 6. 22. Assuming advanced natural gas combined cycle plant technology.